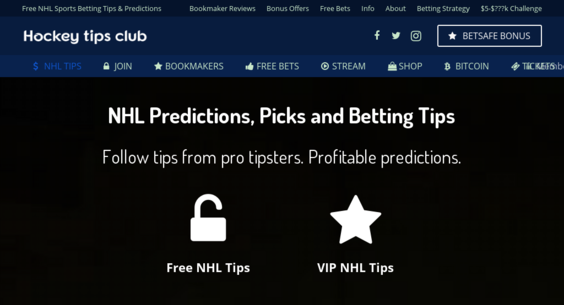 HockeyTips.Club — Website Listed on Flippa: NHL Tips Club - NHL betting tips (Membership & Affiliate site). Ice Hockey (NHL) betting tips website. Fully automated membership subscription site and affiliate earnings.